In most people’s minds, there is a distinct divide between movies and television. While that line may become blurred thanks to the “Golden Age of [Cable] Television” in which we currently reside, I think even most media junkies still have different expectations in place. It is not purely dismissive then, when we say Broken City feels like TV. 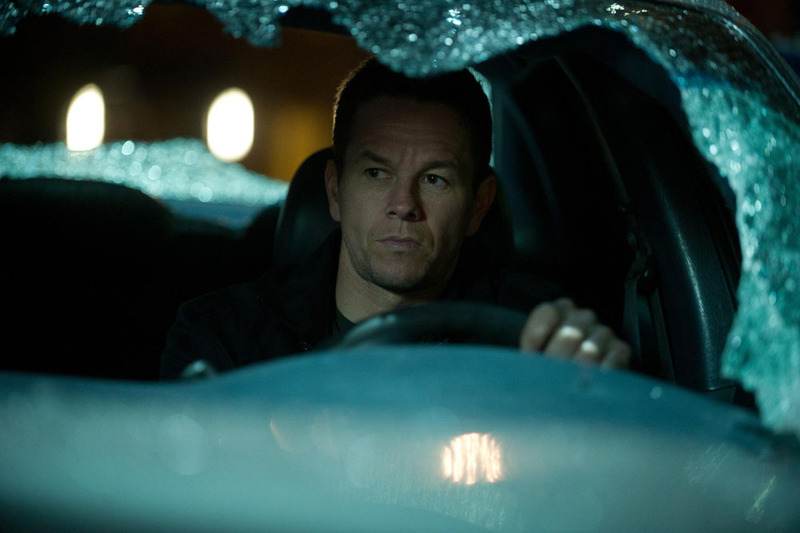 The film is the 2013 installment of the apparently annual mid-budget January Mark Wahlberg vehicle and unfortunately, it does not even come close to the low-level fun of last year’s Contraband. What Broken City features is odd camera choices, an overstuffed plot, and hammy dialogue delivered by actors who seem to forget they can do a lot better. Billy Taggert (Wahlberg) is a former disgraced detective-turned-PI hired by NYC Mayor Hostetler (Russell Crowe) to investigate his wife’s (Catherine Zeta-Jones) alleged adultery. In that act, a thread of conspiracy is pulled, and begins to unravel like a sweater knitted by Louis Wain (with less cats, sadly). The mayor’s electoral rival Jack Valliant (Barry Pepper), Valliant’s campaign manager (Kyle Chandler), and the police commissioner, (Jeffrey Wright), soon become entangled in the plot, and the film spends approximately fifty percent of the dialogue either explaining the conspiracy, or providing us with a too-obvious red herring. The dialogue in this film is a main component holding it back from being an effective, good-time political crime drama. So many asides, soliloquies, and ridiculously juvenile sexual innuendo bog down the already garrulous film. Many of these are lines that would be axed by a better writer because they could only work if delivered by actors having the performances of their careers. I am sad to report that no one in Broken City comes close, save Mark Wahlberg who continues to stay true to his brand. Exaggerating the awfulness is Crowe’s New York accent, a now overdone caricature which is grating on the ears to anyone who knows where New York is on a map. Director Allen Hughes also makes some odd camera choices. Handheld is a perfectly fine technique, but using it to repeatedly circle actors is dizzying, and signals the audience where different takes were stitched together. But back to television. While it is hard to make a film stuffed with this much relentless character drama work, it is a veritable television staple. Daytime soap operas and prime time fare like Revenge, Deception, The Good Wife, and Dallas perfectly demonstrate the success of a ‘drama for drama’s sake’ approach. It works best when machinations and twists are stretched over a number of weeks, and expectations are adjusted. There are enough good ideas to make Broken City watchable over the course of a season of television. It’s cramming all of that drama into two hours that makes the film feel like it takes weeks to get through it. 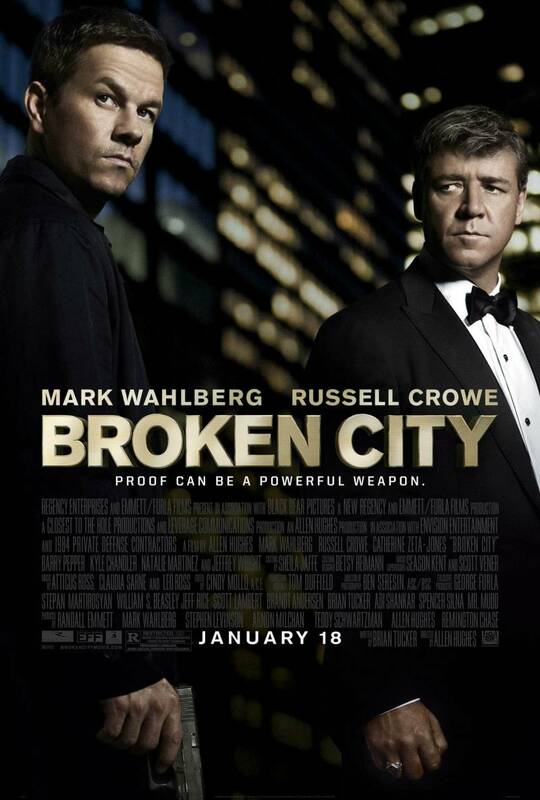 Broken City is now playing in Philly-area theaters.